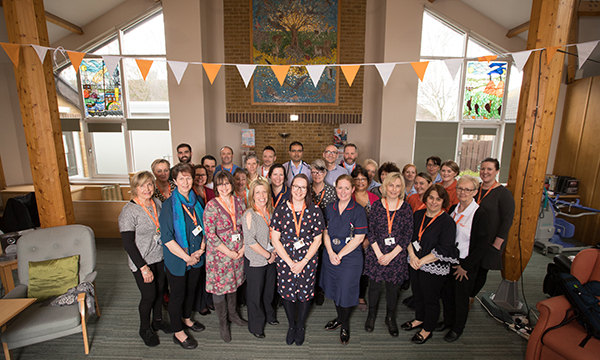 Staff, patients and families at the Ellenor hospice in Gravesend, Kent, are the subject of a 13-part television series aiming to increase awareness of hospice care and the diverse range of support they provide. The series has been commissioned by the Together television channel and produced by Knickerbockerglory – the creators of Channel 5’s long running GPs: Behind Close Doors series. The first episode of The Hospice was broadcast in May. Each episode follows the personal stories of children and adults who are receiving end of life care from the hospice via the inpatient ward, day services or in their own homes. The hospice covers a wide geographical area across Kent and serves a population of one million. It has a 15-bed inpatient ward and tends to have eight to ten patients at a time. Patients can be admitted for end of life care, symptom control and psychological support. The ward nursing team works day and night. During the day, two registered nurses are on duty along with two to three healthcare assistants. At night, the nursing team consists of two registered nurses and one healthcare assistant. 'In addition, we sometimes have patients known to our community team, who hit a crisis point and come into the ward,' says ward sister at Ellenor, Joanne Bradley. 'Patients can be referred from the community teams and community healthcare professionals including GPs, district nurses and the local hospital. Patients and families can refer directly to us, even if they are not known to any of the other teams. Community teams provide services for children and adults. There are two adult teams – hospice at home and care home support. The adult hospice at home team includes clinical nurse specialists, registered nurses and healthcare assistants. The team works closely with GPs, district nurses and other community services such as a local neurology service. The hospice at home team has a night sitting service providing overnight respite for carers. 'It enables carers to get a good night’s sleep and that can make the world of difference in terms of coping or not coping,' says head of adult community services at Ellenor, Linda Coffey. 'We also offer crisis support for patients and families and this includes support following discharge from hospital, where a patient who is imminently dying has returned home to pass away. The care home support team is staffed by registered nurses and healthcare assistants who work alongside care home staff, providing advice and support. The team sees every care home patient for at least one assessment. During the assessment, they will also initiate conversations with patients and families around advance care planning and do not resuscitate orders. 'Our healthcare assistants are very experienced at supporting patients and families, and 90% of the care we give is provided at home,' adds Ms Coffey. 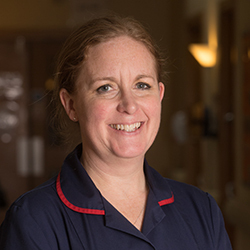 'When you watch each episode, it is not just about one patient or one aspect of the hospice’s care, you really get to see what your colleagues do on a daily basis,' says Ms Bradley. Filming for The Hospice began in January and finished in early April. Two film crew were based at the hospice and used handheld cameras to capture footage and interviews with patients, families and staff. In the community, the teams had to obtain permission from patients to film in their homes. 'Our patients really surprised us with how they wanted to tell their stories,' says Ms Coffey. 'We had the added task of having to do retakes regularly. On one of my takes, I had to put my coat on about ten times because they were filming from every angle. I had to try to remember what I had said in the previous takes. In November, the Care Quality Commission rated the Ellenor Hospice as outstanding. 'It has been a privilege to be able to promote hospice care and the difference it can make to patients and families,' adds Ms Coffey. Episodes of The Hospice are broadcast every Tuesday at 10pm on the Together channel. Together airs on Freeview channel 93, Sky 159, Virgin 269, Freesat 164 and via on demand services. Adults with incurable diseases do not receive palliative care from hospices early enough due to the timing of referrals, research has found. Funded by the National Institute for Health Research, University of Leeds, researchers looked at the number of days from when patients were referred to community and inpatient hospice services to when they died, based on data from 64 hospices. The study found cancer patients were referred for hospice care around 53 days before death, while referrals for non-cancer patients happen around 27 days before. It found older patients tend to receive less hospice care – patients under age 50 received 78 days of care, compared to 59 days for patients age 50-75 and 39 days for patients over 75. There were significant referral variations between northern and southern England. In general, patients in the north of England were referred to hospice care around 35 days before death, compared with 55 days for the south of England and 55 days for the midlands and east. According to previous clinical trial research, patients with progressive diseases should be referred for palliative care between three and six months before they die to benefit fully from this type of care. 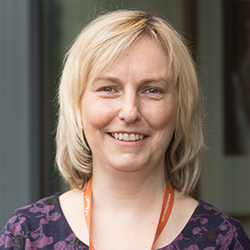 Co-author of the study and head of research at Hospice UK, Sarah Russell, said: 'Palliative and hospice care is not just for people in the last days of life.